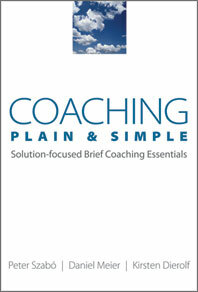 Coaching Plain & Simple - Description | W. W. Norton & Company Ltd.
An easy-to-read, pocket-sized primer on brief coaching basics. 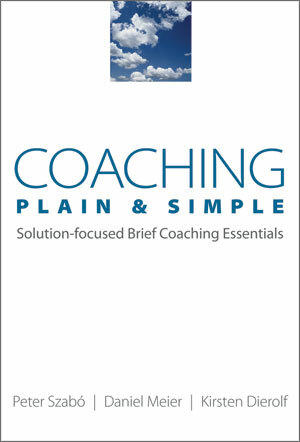 This is a highly practical and condensed introduction to solution-focused coaching, offering a simple and clear structure for coaching sessions that is easy to learn. Content is illuminated through exemplary dialogues from real coaching sessions and bullet-point toolboxes for greater variety of choice. Narrative explanations create a helpful framework for understanding the general idea of coaching and the practicalities of the solution focused approach. Several illustrating graphs and symbols give the book an easy to read, light touch. The book targets beginners in coaching who are looking for simple guidance and step-by-step ideas in their learning process. Like so many helping professionals today, coaches are discovering that the most effective treatment plan is not always the one that takes the most time.